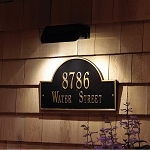 This plaque is made of slate that has been newly quarried in the U.S.A. and hand cut to size. 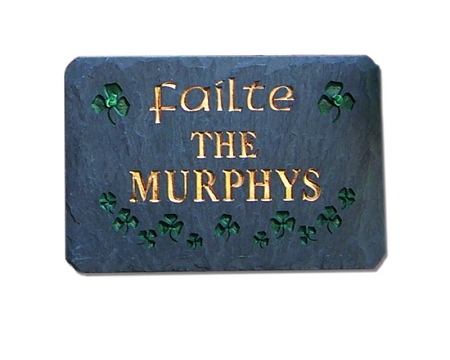 The slate is deeply etched by hand and then painted with weather-resistant exterior enamels. Comes complete with leather strap, ready for hanging. Failte remains at the top.